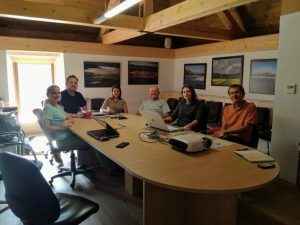 On 1 September, project LIFE Stržen turned one! Representatives of all project partners celebrated this occasion on the eight coordination meeting, which took place on Tuesday, 11 September. First, we reviewed the activities that have been carried out during the summer, then we determined the tasks that await us in the near future. We were all happy with the results of our conversation, which is why we said goodbye to each other with smiles on our faces.